Xiaomi released a powerful phablet called Mi Note Pro with top-of-the-shelf configurations back in May and this device can now be purchased from selected online retailers. The Lumia 950 XL, on the other hand, is now available at the Microsoft Stores across the U.S., where customers can check out the device before purchasing one. However, the new Lumia device will be made available for purchased only in November. Meanwhile, here is a comparison of specs, features and price of the Xiaomi Mi Note Pro and the Lumia 950 XL. Both Microsoft and Xiaomi devices pack the same 5.7-inch display and QHD resolution of 1,440 x 2,560 pixels. The pixel densities of the handsets are above 500 ppi, guaranteeing excellent viewing experience. While Microsoft has employed AMOLED display technology on its Lumia 950 XL, the Xiaomi Mi Note Pro settles for IPS LCD screen. Speaking of design, Microsoft has stuck to the tried and tested formula of plastic design on the new Lumia 950 XL as well. The polycarbonate build material apparently helps in keeping the device lightweight. The premium feel, however, is missing from the device, when compared to high-end smartphones from Android-based OEMs, Phone Arena reported. The Xiaomi Mi Note Pro, meanwhile, features a glass body along with gold accented metal trim bezel, thus creating a signature design. The device comes with "subtle curves" on the back and it is comfortable to hold, even though, the display size is quite big, according to Phone Arena. The Mi Note Pro runs the Android v5.0.1 Lollipop OS, while the Lumia 950 XL comes with the new Windows 10 on board. On the hardware end, both the handsets are powered by the same Qualcomm Snapdragon 810 chipset. However, the Lumia device comes backed by 3 GB of RAM, whereas the Mi Note Pro wins hands-down with a 4 GB RAM. The Xiaomi Mi Note Pro comes equipped with a whopping 64 GB of in-built storage with no microSD card slot. The Microsoft device, meanwhile, houses a good 32 GB of native storage and microSD card slot for expansion of up to a 200 GB. The Microsoft handset beats the Xiaomi handset fair and square in the camera department. There is a 20-megapixel rear-facing sensor, bundled with Carl Zeiss lens, 4K video recording and optical image stabilization (OIS) support. The Mi Note Pro, on the other hand, sports a 13-megapixel unit with OIS support. The Lumia 950 XL features an industry-first triple-LED flash, while the Xiaomi device settles for houses a dual-LED flash. On the front, while the Mi Note Pro features a 4-megapixel unit, the Lumia has a 5-megapixel shooter for selfies. Speaking of battery configuration, the Mi Note Pro comes equipped with 3,000 mAh (non-removable) cell, whereas the Microsoft Lumia 950 XL houses a relatively better 3,340 mAh (removable) unit. Both the handsets support rapid battery charging option. However, the wireless charging aspect is specific to the Microsoft device. In addition to the standard connectivity options, the Lumia 950 XL features a USB Type-C port, whereas the Mi Note Pro settles for the microUSB v2.0 port. Plus, the Microsoft flagship authenticates the device owner with the help of iris scanner, while the Mi Note Pro settles for password validation. 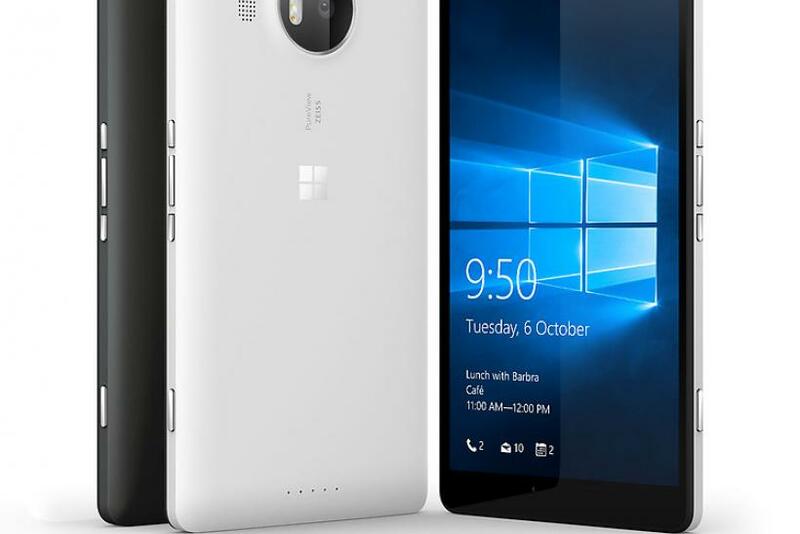 The 32 GB Microsoft Lumia 950 XL will reportedly set the buyers back by $649, while the Mi Note Pro with 64 GB storage can now be purchased for just $519.99 from HonorBuy.